From omega-3, to protein, vitamins, and antioxidants — algae has big potential as an industrial source of high value functional ingredients for food production. But with less than 10% of the world’s algae species properly characterized, we are only beginning to realize the full potential of this amazing seaweed. Cultivation of algae for food purposes dates back over 125 years, though the first industrial production of algae products was seen in Japan shortly after the Second World War (WW2) with the production of Chlorella for food supplements. Despite such a long history of production, high market interest and plenty of attention from research institutes, algae remain a relatively untapped resource. In this special edition NutraIngredients will delve inside the still relatively untapped world of algae and seaweeds, asking what they are, and why could they could be important as a future source of high value food ingredients. Two kinds of algae exist: macroalgae, also known as seaweed, and microalgae. Microalgae are very small plant-like organisms that can generally only be seen with the aid of a microscope. The biodiversity of microalgae is enormous — with each species producing its own unique and sometimes rare mix of compounds. As a result, microalgae are said to represent an almost untapped resource, with only around 10% of all species currently identified and described by the scientific literature. With an estimated 200,000 to seven million species to be found in the oceans, rivers and lakes of the world, it is expected that the commercial market for ingredients made from algae will expand as species with promising or valuable compounds are discovered. 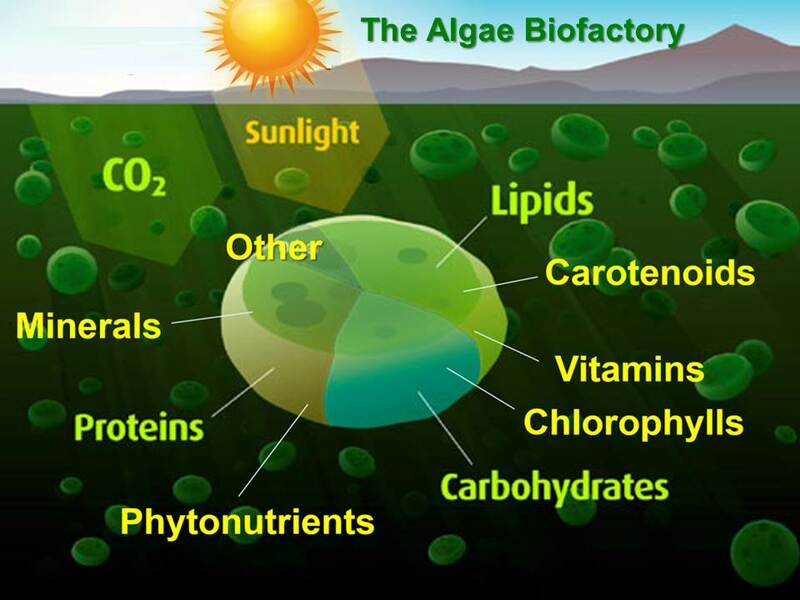 Algae — and especially microalgae — are rich in many high-value bioactive components including vitamins, omega-3 fatty acids, pigments, antioxidants and sterols. For starters, algae contain high quantities of protein — up to 47% by weight. This abundance of protein makes algae one of the most interesting new sources of protein for food applications. The production of food ingredients from marine algae using bioreactors is said to be around 5000 times more efficient than production using ‘traditional’ crop based agriculture. However, algae are perhaps best known as a source of beneficial fatty acids — with many species containing a substantial amount of high-quality oils such as omega-3 and omega-6 fatty acids, that are used as raw materials in food and food supplements. For example, Crypthecodinium cohnii, Schizochytrium and Ulkenia, are known to yield high volumes of docosahexaenoic acid (DHA) and eicosapentaenoic acid (EPA).